With smaller gardening spaces, we tend to feel limited, like we have to cram it with every plant that grabs our eye at the nursery that morning. Of course, sticking to just one or two species can require a difficult level of restraint. But these two junipers possess a striking architecture, with enough difference in height and form, as well as varying shades of green, to create a powerful design. 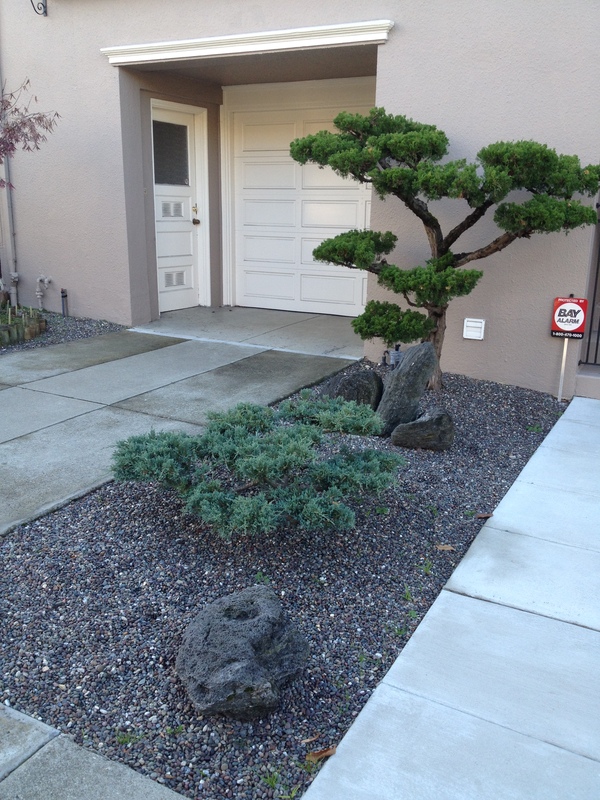 The addition of the offset rocks and gravel bed contributes to the meditative character. This small spot in the Richmond is a wonderful reminder that clichés are often true: Sometimes less is more.